186 pages | 12 B/W Illus. How Prevalent Is Leading in Place? Second Interlude: What Does Leadership Success Look Like? Third Interlude: What Development Experiences Would Be Beneficial? What are the Implications for Research and Practice? What Choices and Trade-Offs Do Women Make in Order to Lead? What about Leadership and Power? Do Others Need to Recognize Your Leadership to Validate it? What Else Have We Learned about Leadership? 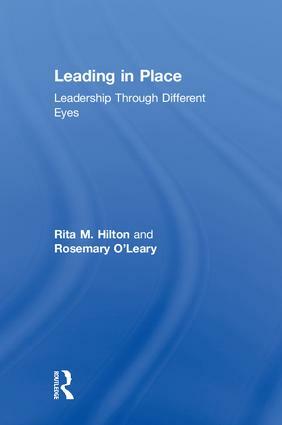 Rita M. Hilton, Ph.D., is an organizational and leadership development expert and an ICF-certified executive coach. She currently serves as Director of Talent and Organizational Development for a US government agency. Rosemary O’Leary,Ph.D., is the Director of the School of Public Affairs and the Edwin O. Stene Distinguished Professor of Public Administration at the University of Kansas, USA.